Crown Princess Victoria caught a severe cold. She had to cancel her attendance program for Community and Defence National Conference (Folk och Försvar) which will be held in Sälen today and on Monday. Royal Court's information officer, Ulrika Näsholm announced that only King Gustaf will attend the conference. 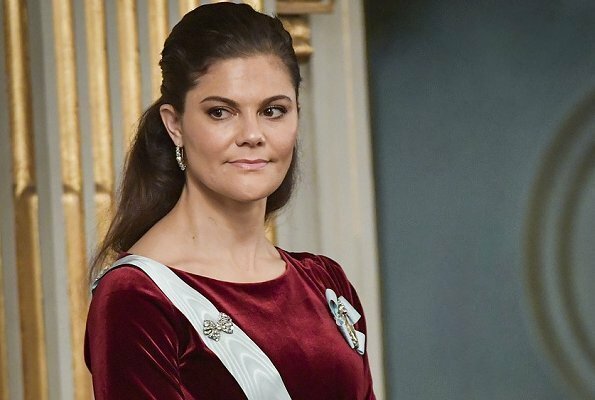 Crown Princess Victoria could not attend information briefing of Ministry of Foreign Affairs held on January 11, at the Royal Palace although her attendance was in official program. It is not known yet that whether Crown Princess Victoria will attend the events relating to official visit of President of Iceland between the dates of January 17-19 or not. Agree Raquel. Hope also that Daniel does not get it. She is a wonderful Crown Princess. She must be very sick to cancel an engagement. Bon rétablissement princesse Victoria. Ici, au Québec, le vaccin anti-grippal avait un taux d'efficacité de 10% seulement. Malgré que je l'aie reçu, j'ai été grippée depuis le 25 décembre. Je commence juste à m'en remettre. Avec l'horaire chargé qu'a la princesse, elle aura besoin de reprendre ses forces avant de continuer sa représentation sinon, il y aura rechute. Yes, Hope, true. The vaccine in North America is only 10% effective for the flu this year. I hope Victoria does not have the flu and that it really is a cold. The flu is very bad this season all over the world. I am in Australia where this dreadful flu strain started. It is a killer. I was vaccinated as usual, and was also put on Tamiflu by my doctor because I am "frail" and "elderly" but I was still very very ill. Take care everyone. I am sorry to hear that! I hope you are 100% better soon. Barbara, I hope you recovered completely! And everybody who was or is ill too! Thank you friends - I am fine now. Get well soon dear Victoria! I hope that she gets well soon. oh wow hope she feels better. not sure if its news worthy though..
Nun hat es Prinz Daniel wohl auch erwischt. Hoffentlich kommen die Beiden heil aus der Sache wieder raus. Von Herzen gute Besserung !